"It already has one of the cutest names in cloud computing, and now it has Google Docs, too. Following up on its integration of Dropbox, Jolicloud just added support for the online office suite, which means you can access and edit all of your important missives and memos via the Jolicloud Desktop or Joli OS." It seems that these mini-OSes (or probably better described as "companion environments?") are adding more and more features. 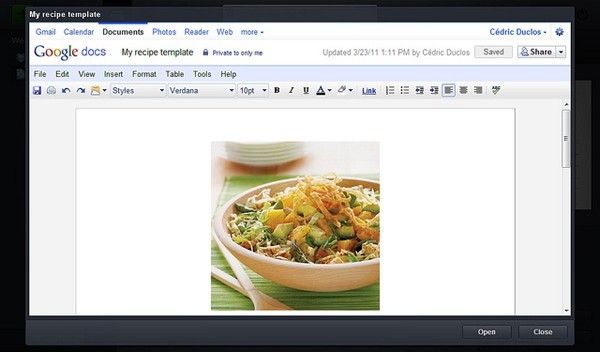 With the addition of Dropbox and Google Docs, Jolicloud is becoming pretty full-featured. Do you think that these environments are robust enough that you may be able to eliminate "legacy" applications?